Angel and Tate wedding color palette couldn't be more auspicious, Red ,White and blue. 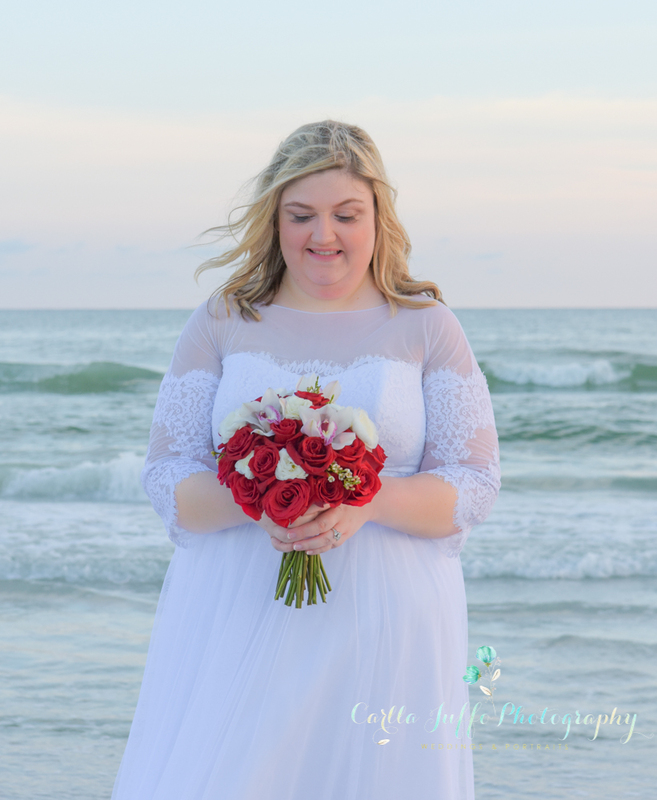 Their beautiful wedding ceremony on Siesta Key beach was officiated by Avis Brangan from Simple Seasde Ceremonies. Flowers provided by Venitian florist in Venice. Love and gorgeous sunset completed this wedding day.